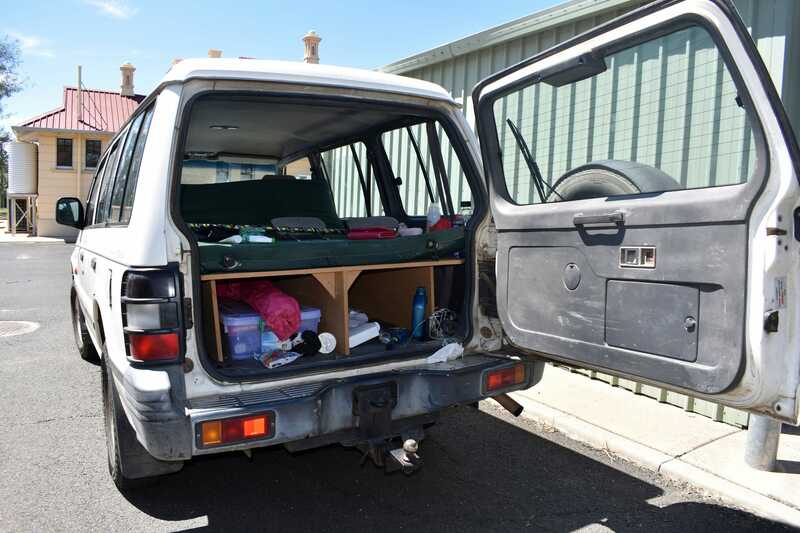 Living out of a van can be a lonely, cramped existence – yet some people are choosing it over life in a standard home. 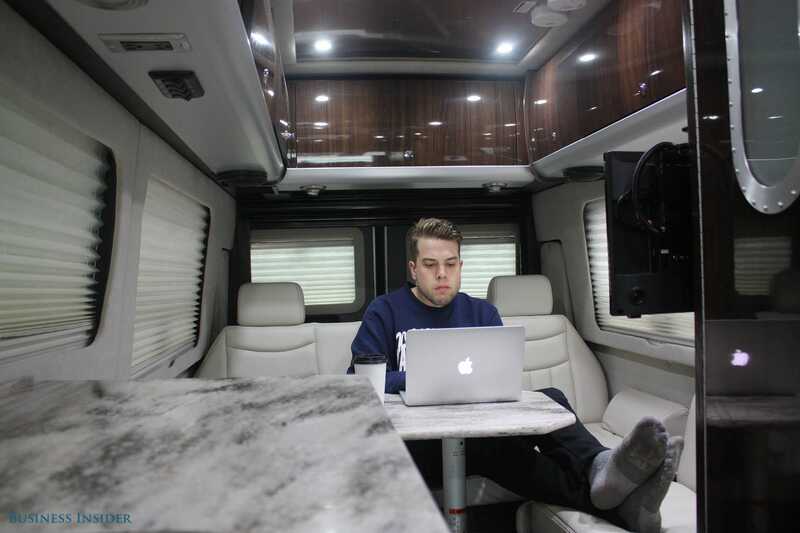 As real estate becomes more expensive in cities such as New York and San Francisco, young tech workers, retirees, and even families are turning to converted vans as a way to save on rent. The phenomenon has taken off across numerous social channels. 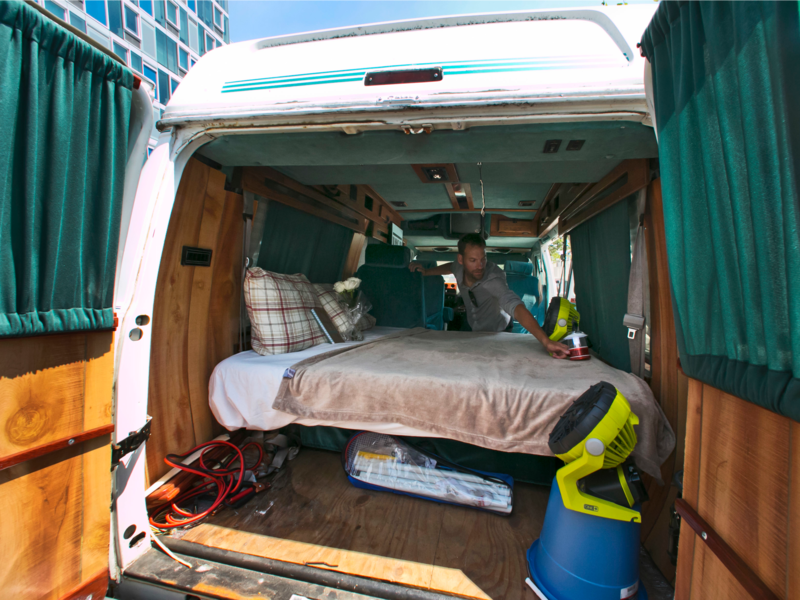 It’s now easy to find glamorous shots of van living on Instagram or idealistic blog posts touting a mobile lifestyle. Though van dwelling may be a viable option for some, the reality is far less seductive than it’s made out to be. Many photos of converted vans show little room for anything other than a bed and a few storage bins. Vehicles that have been lived in for a while are often a cluttered mess, packed with stray belongings and portable fans. 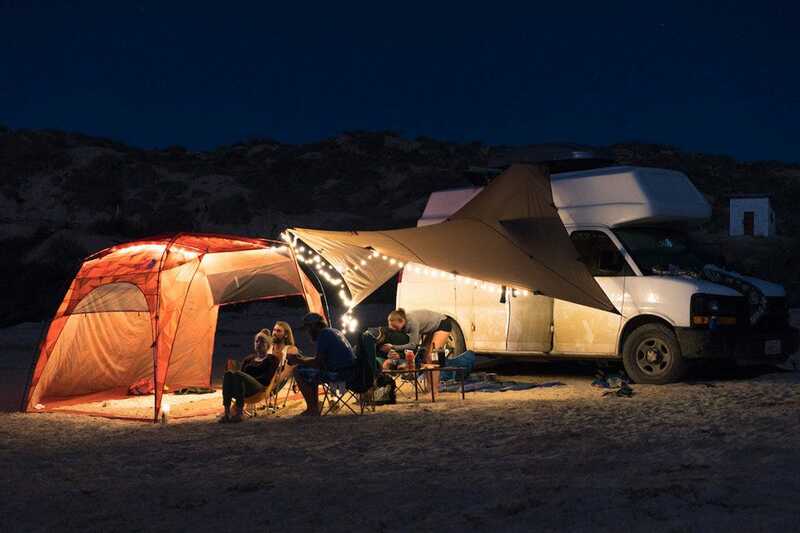 Check out what van living is really like for the urbanites who dare to tackle life on the road – and the many who rely on vans as an affordable housing option. Some people choose to live in a van so they can travel all over the United States. 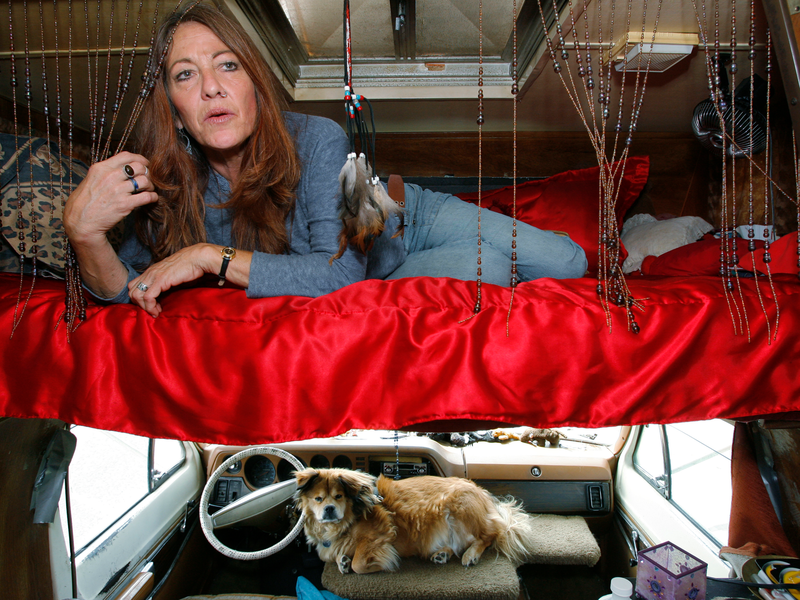 Lyn Sweet, an artist who has lived in a van for the past two years, set out in her first vehicle after saving money for eight months. She worked five different jobs during that time. Many van dwellers stop by national parks as they make their way across the country. Some travelers capture beautiful images by state parks along the coast, such as Cape Kiwanda in Oregon. Iconic Oregon Coastline. Cape Kiwanda is a gorgeous spot. Thanks for sharing The reversed ???? @jguzmannn ???? #vanlifediaries We take great joy in celebrating individuals from all over this planet ???? One couple has been traveling all over the US since 2012. 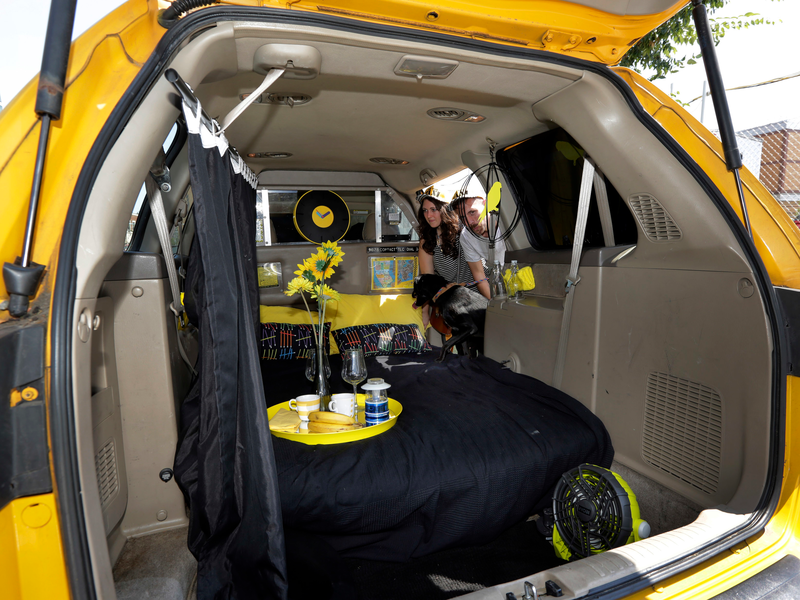 Their van, “Sunshine,” has taken them to Florida, Michigan, Utah, and New Mexico, among many more states. Travelers may buy new vans for their journeys, though it’s also common to spend several thousand dollars on transforming a used one. Conversion companies will remove the old seats and flooring and put new studding on the walls. A Fresh Start . Some clients just want us to create their Skoolie “shell”. We have removed the seats and floor, put down subfloor, and will soon be studding in the walls. Then she’ll be off to the client to take care of the rest however they want. ???? … or this smart solar vehicle, which is equipped with an air compressor to assist with bike repair. Others add their own finishing touches like interior wood panels and camper shells. A van’s “storage space” may look neat and tidy when it’s first built. But once belongings are added, it could overflow. At that point, some dwellers choose to upgrade to a larger van. We’ve finally started working on our new van. For now it’s all small things and not much has happened. But this girl scoots around on her bike while we work away building her new home. So pumped to show her more of this world! 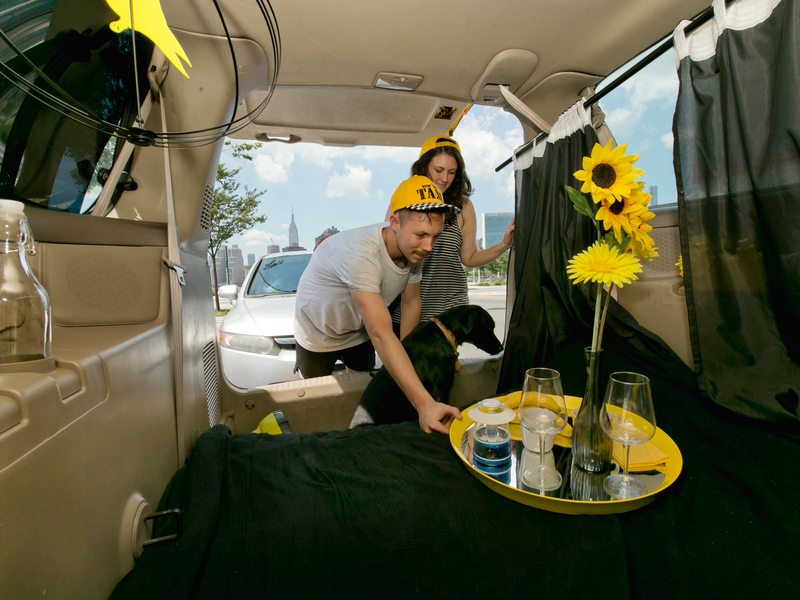 In Queens, New York, Jonathan Powley rents a 1995 Chevrolet conversion van and other vehicles on Airbnb. Powley’s vans are an affordable option for visitors who are looking to avoid paying hundreds of dollars for a hotel in New York. But to save on lodging, travelers will have to skimp on air conditioning. Despite its clean decor, this decommissioned 2002 Honda Odyssey is more of a bed than a home. The Honda Odyssey is another Airbnb rental in Queens, New York, with a view of the Empire State Building. 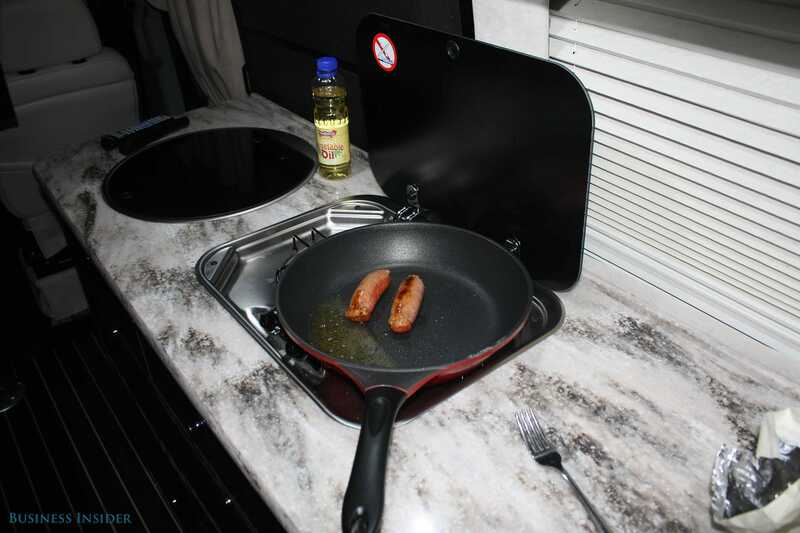 Van dwellers are forced to get creative with space, like hiding a double-burner stove under a small countertop. Or attaching a foldout chair to the back of the vehicle. But even then the quarters are often cramped. Many are forced to sleep on top of their belongings, meaning beds are located quite close to the roof. From the inside, it can feel like living in a tunnel. Packing up camp, and heading to the Beartooth Highway ???? And there’s not always enough room to stretch out your legs. Even with lacquered wood paneling and granite countertops, van life can be quite isolating. Dwellers are often forced to cook on small stoves or hot plates. Preparing some types of food requires adapting, such as using a stove to make cookies. It’s not all hikes and climbs…sometimes we stay in, sit on our asses and make cookies ???????? But some people offset the loneliness by taking their pets with them. Van dwelling as a family is also less lonely than traveling solo, but the space can be very limited. 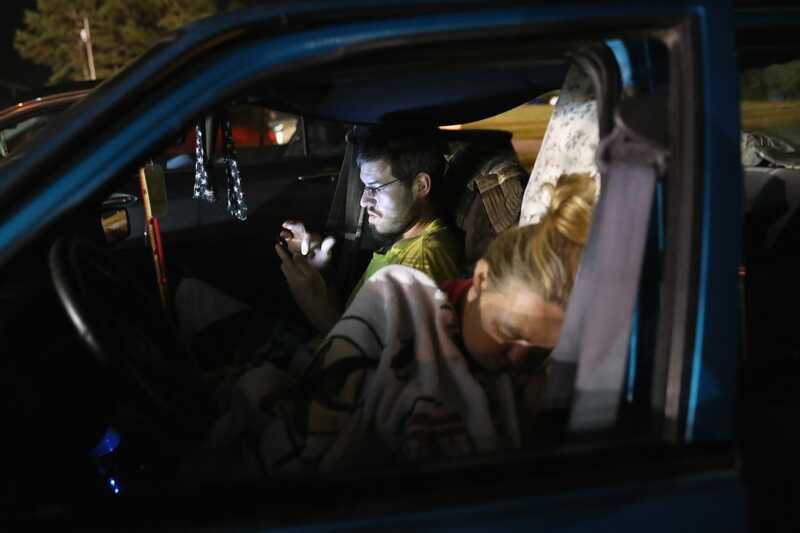 At night, dwellers sometimes park in campgrounds, on national forest lands, in Walmart parking lots, or on the beach. Showers and toilets are very rare inside converted vans, but some people sacrifice space to have them. Many van dwellers meet up with one another on the road, and 36,000 people communicate on the Vandwellers subreddit to talk about their experiences. Dwelling isn’t just a trend in the US — thousands of people travel in vans to scenic locations all over the world, such as this Norwegian fjord. Below, a van dweller watches the Northern Lights in Iceland. “I park as far out in the country as the weather allows and wake up to beautiful views,” the Instagram user wrote. The views can be idyllic, but there’s plenty of room for things to go wrong. While camped out in Australia, this family found a leak in their water pump. Love love love being in the Australian bush with the water so close by! This was the opposite view to our previous picture from our campsite last night! ???????? • A quick update on our water pump too for those that have been asking! Unfortunately the $2 fix didn’t work as it had a more substantial leak that was affecting the wiring so we ended up getting a new pump under warranty which is awesome! ???????? • It’s just arrived in Tassie at the post office, only problem now is that tomorrow is a public holiday here! So no new pump till Friday! ??????? ?‍♀️ • Until then we’ve brought a 20l jerrycan and are plugging into mains water where we can! ???????? This woman’s van broke down along US Route 191 in Utah. I’ve broken down! And I’m semi stuck in a snowstorm ???? On highway 191 my van went into limp mode, which means that it won’t shift gears out of drive/reverse, and I can only go 30-40mph. I’ve been troubleshooting the last few days. It’s not the air filter and it’s not the intercooler hose. I’ve ordered a code reader and a new turbo resonator… but if those things don’t fix it I might just have to limp her off to a mechanic! Augh! Another dweller did not have any luck with his van’s oil pump. And this couple’s van broke down shortly after they celebrated their first anniversary of van living, so they temporarily lived out of a Toyota 4Runner instead. 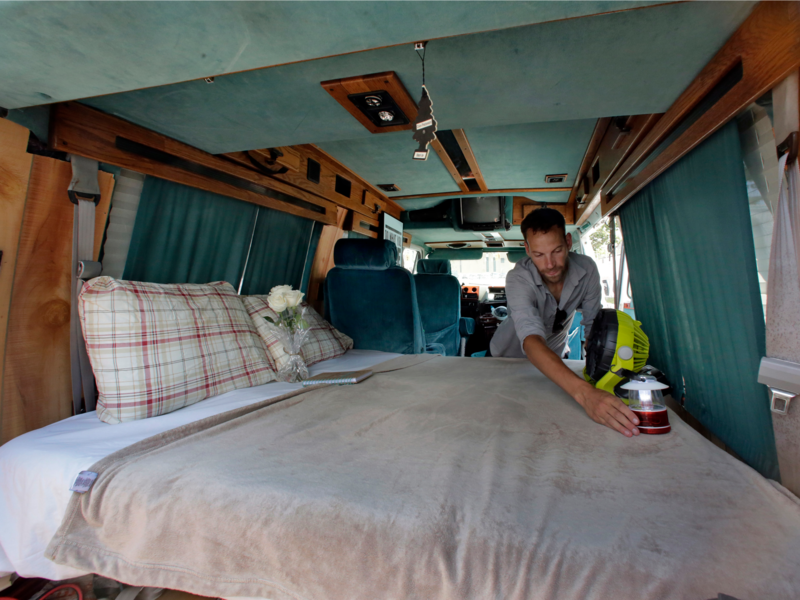 Spills, though far less problematic, can also create a big mess for van dwellers. Roundabout chilli powder disaster… ??? ?#vanlifeproblems ????????????‍♂️???? No matter where dwellers go, mechanical problems are always a risk. Sometimes, travelers need a helping hand before they can get back on the road. Despite occasional issues, many dwellers say this experience is well worth it. “I’d rather have a tiny messy house on wheels, and be free, than to have a perfect 5 bedroom house that calls on me to work 9-5 to survive,” one Instagram user wrote. But for many who are struggling financially, living in a van isn’t a choice. A 24-year-old Tesla employee, for example, lived in a van for five months to pay off $14,000 in student loans. 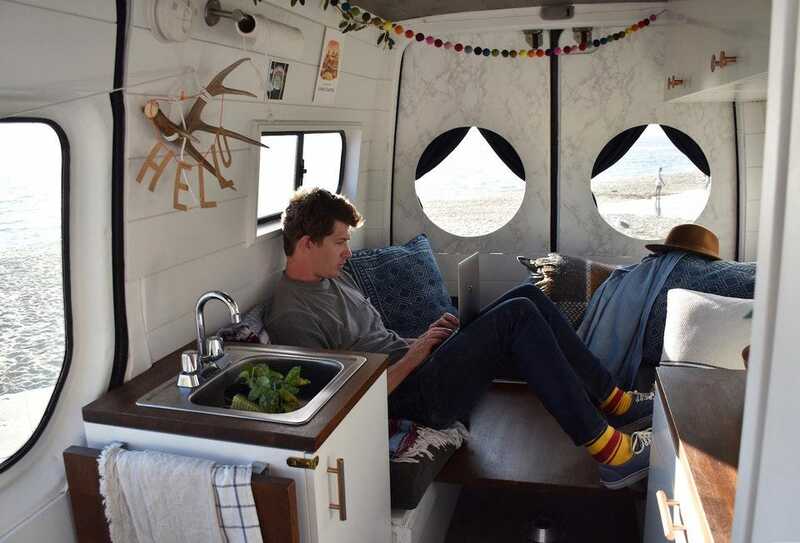 Read more:A 24-year-old Tesla engineer lived in a van for 5 months and paid off his $14,000 of student loans. 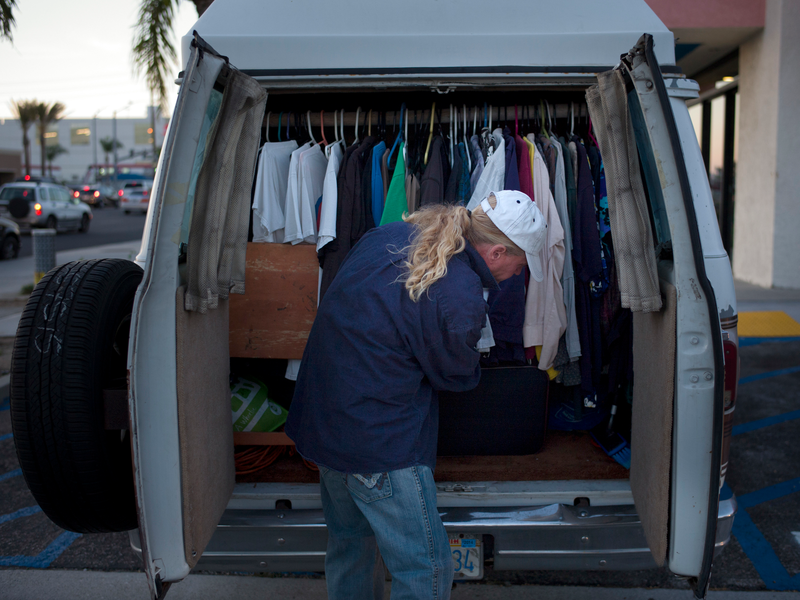 Americans who are homeless have been turning to vans for decades. In 2001, Gary Donahue began living in his 1983 Audi because he was not able to find employment as a construction worker in Eugene, Oregon. 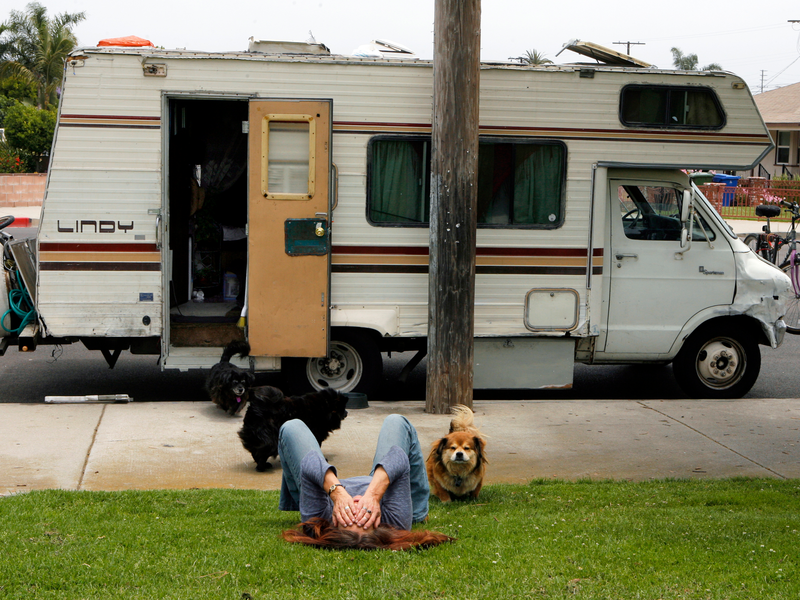 In Los Angeles, Darlene Knoll and her five dogs were forced onto the street after Knoll lost her job and home. Recently, van dwelling has increased even more in areas with large homeless populations. 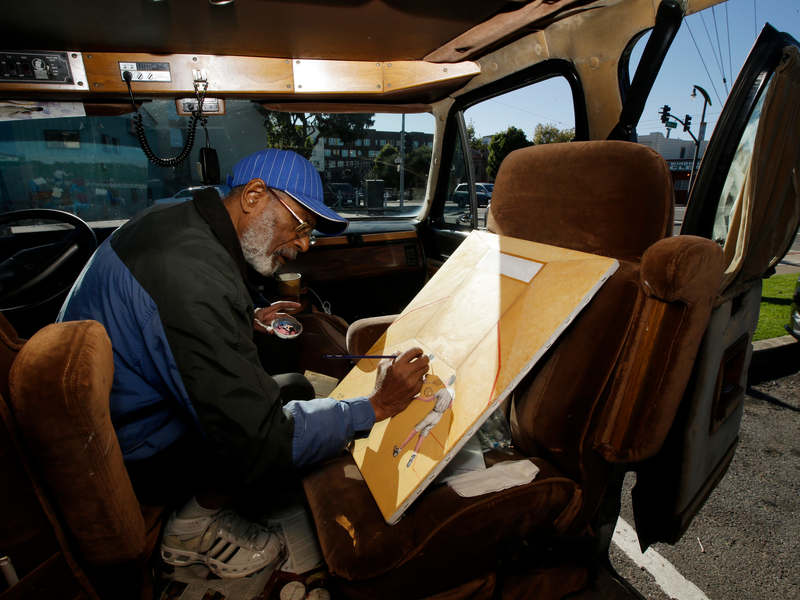 Below, the artist Ira Watkins lives and works out of his van in San Francisco’s Bayview-Hunters Point district. Some local organizations, such as Laundry Love in Huntington Beach, California, partner with laundromats to help homeless people do their laundry free. 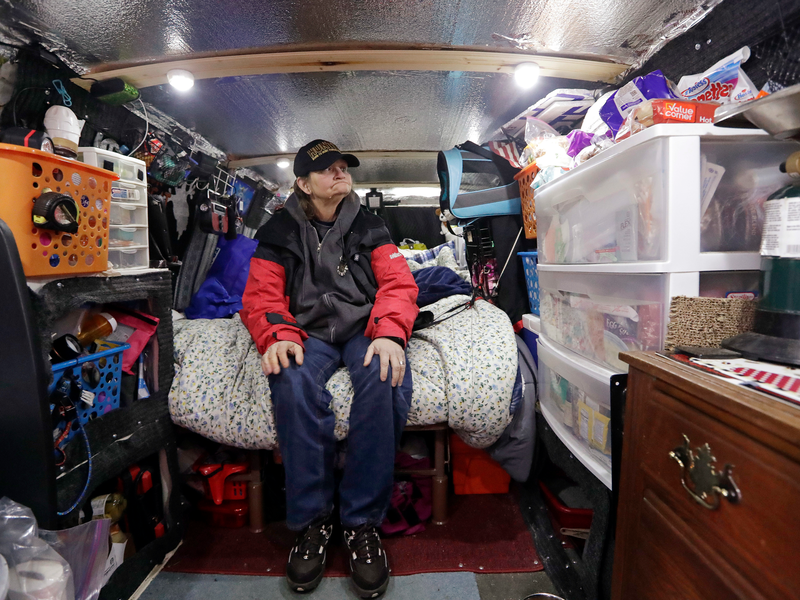 And in Kirkland, Washington, Tamara Bancroft lives in one of two dozen vans that house homeless single women in a church parking lot. 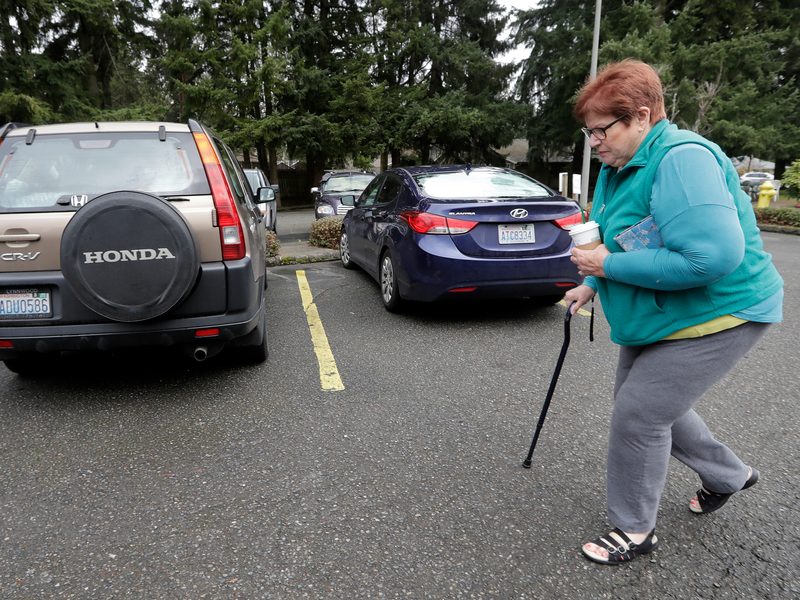 Paula Lowery and her two cats live in a Honda CR-V in the same church parking lot. 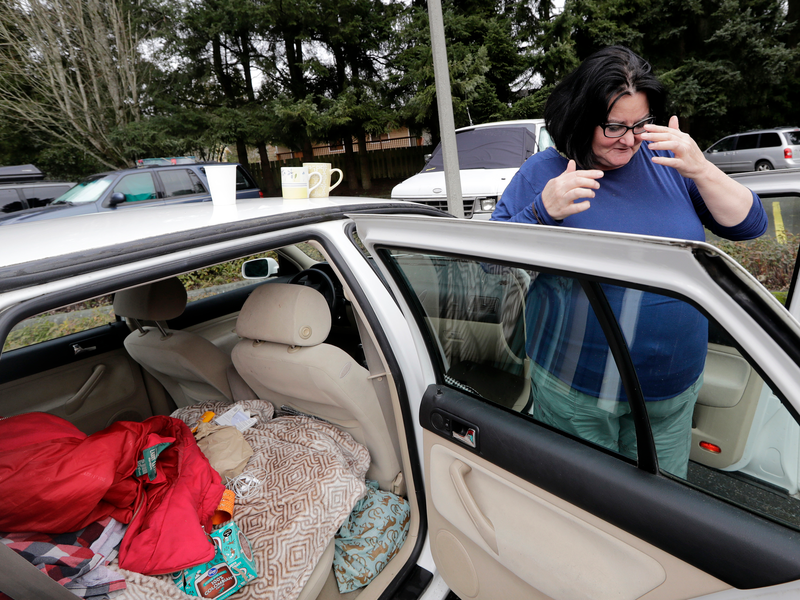 Women in Washington state have faced several obstacles in finding permanent housing, but a bill signed by the governor in March aims to help them find homes. The new legislation bars landlords from rejecting tenants who rely on federally funded Section 8 vouchers, Social Security income, or veterans benefits to pay rent. 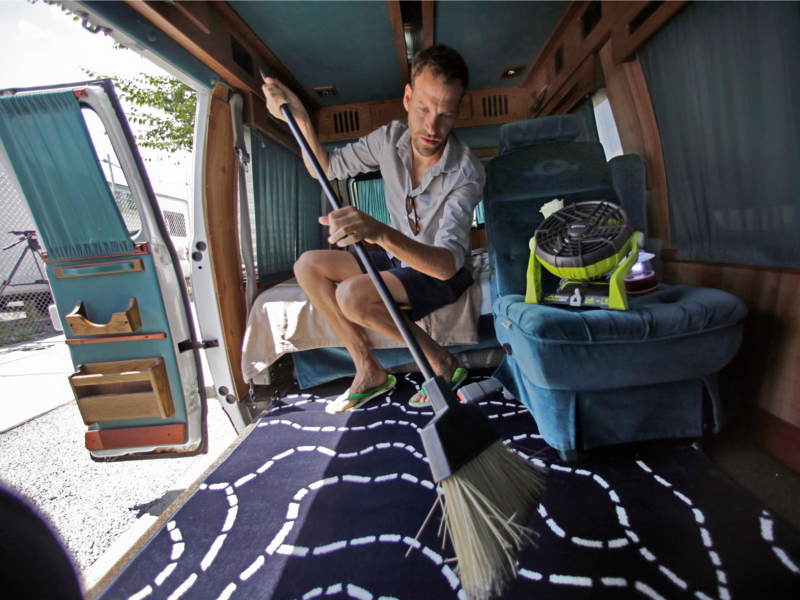 For many Americans who reside in their vehicles, van living isn’t a luxury — it’s a necessity.